Finding a relevant, memorable, and brand-worthy name that isn’t already registered is difficult these days. 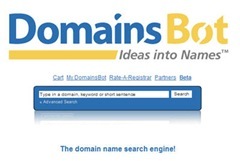 In this article you can find information you need on domain names. This overview of hand-picked domain-related tools, articles and resources will be helpful, time- and effort-saving. I liked the links thanks for the info.